Home Big Opinions The Pick-a-Boks Show! Winter is upon us, sneaking in through the wide open windows and doors of summer, tickling the base of your spine with tendrils of iciness that we all hoped would stay away for at least another two months. Along with the hint that winter is approaching, we get the reminder that Test Match rugby is creeping closer too. On the 9th of June, South Africa face England, New Zealand take on France, and Australia tackle Ireland. And with those fixtures looming just six weeks hence, it is time for each and every rugby fan to start picking his team! Let’s kick off the debate! We will confine ourselves to the selection of a Springbok team. I invite one and all to share their team with the world, either directly on this site, or by means of a Facebook post. Give us your selections, with some comment about why you have selected a player over other contenders for the same spot. Let’s see if we can figure out the team that Rassie Erasmus and his cohorts will select. 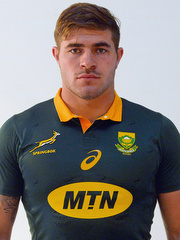 Other contenders: Willie le Roux, Andries Coetzee, Dillyn Leyds, Cheslyn Kolbe, Curwin Bosch. South Africa needs a fullback that combines solid defence and attacking flair. Safety under the high-ball is critical too. 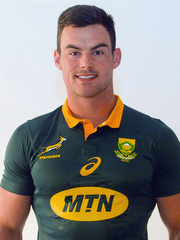 My preference is for Willie le Roux, but we do not know whether Rassie intends calling him up for the squad. Warrick Gelant is the one local player who is showing some serious form. He has the talent, he has the skills, and he appears to have the temperament. He does have a worrying tendency to lose concentration at critical moments, bobbling the ball, seeming distracted at times. None of the others convince me. Other contenders: Ruan Combrinck, Dillyn Leyds. 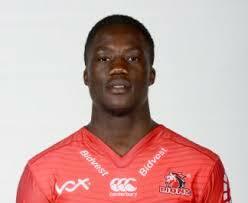 Sbu Nkosi has been a revelation, combining a physical element with some superb running lines, aggressive defence. He deserves a chance. Ruan Combrinck is the closest contender, and has looked good since making his return from injury. He has looked just a bit short of his best and is not yet in the kind of form that made him my first choice in 2016. Lleyds is a good utility back option, perhaps on the bench. Other contenders: Lukhanyo Am, Lionel Mapoe. Whilst Am has been the standout performer in the Sharks’ backline this season, Kriel has shown a remarkable return to the form of 2015. The difference between 2015 and 2018 is that Kriel has learned about the requirements of an outside centre’s game. His recent attacking and supporting form has been top quality, and he is running direct lines at last. His defence has improved beyond measure. The third aspect that gives him my nod ahead of Am is his known partnership potential with Damian de Allende. They worked together in 2015. Am is very close, with his strength on attack, and improving ability to read the game. He is also showing some good defence. Mapoe has not impressed me much this year. Other contenders: Jan Serfontein, André Esterhuizen, Rohan Janse van Rensburg, Harold Vorster. De Allende has shown some consistent form in 2018, a return to the standards he set in 2015. Injuries, a lack of game time, and a loss of form hampered his game in 2016/17, but he has towered above the other contenders in 2018. He is taking the ball to the gain line, powerfully through the tackle and into space. He is setting up his outside backs to run with the ball, and that has to be the primary job of a 12. We know that he can release Jesse Kriel. His tackling is solid, and his presence over the loose ball is immense. Of the other contenders, I am unsure of Jan Serfontein’s form in the less heated cauldron of French rugby. ( I am also still a little miffed that he chose Montpellier over the Springboks in November last year.) As far as Esterhuizen and Janse van Rensburg are concerned, I simply do not see any of the playmaking skill sets that I want from a 12. They are both primarily crashball specialists. Muscle Monkeys with no vision or creativity. Vorster is steady, but has not really suggested that he is of international quality. Other contenders: Aphiwe Dyantyi, JP Pietersen, Raymond Rhule. This is a difficult choice. If Dyantyi were fit, I would choose him instantly. Pietersen is so yesterday, and is used as an impact player by his club. It would be retrogressive to call him up again. Raymond Rhule has proven that he has no idea about the basics of defence. He simply slides off his opponents. Whilst he is a superb finisher, I also have my doubts about him as a kick-chaser, he gets there, and does nothing. Tambwe is the man in the best form on the left wing, and I believe the right choice at the moment. 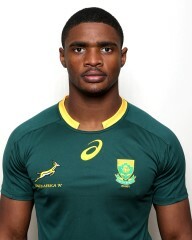 Other contenders: Rob du Preez, Damian Willemse, Elton Jantjies, Pat Lambie. Handré Pollard is streets ahead of the other contenders in so many important aspects of his game. First and foremost, he has that magic element called Big Match Temperament. (Something that completely eludes Elton Jantjies.) Pollard reads a game better than most, and plays with a calm confidence that is the hallmark of the very best. Rob du Preez is learning the game and is a good back-up to Pollard, but was completely outplayed by the very same Pollard just two weeks ago. Damian Willemse is the up-and-coming youngster with so much potential. He is still very green and inexperienced. Pat Lambie is enjoying rugby in France, but that level of rugby is not equal to Super or Test level. Elton Jantjies remains many fans’ favourite. On attack, with no pressure on him, he is brilliant. On defence, off the back foot, or under pressure and he simply folds. His decision making wafts between superb and stupidity. The frailty of his psych is a massive issue. 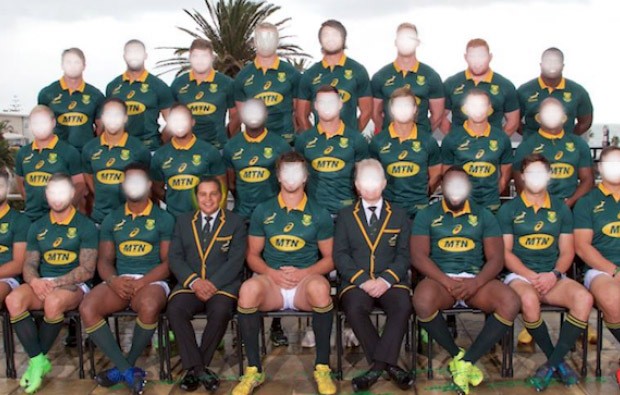 Other contenders: Ross Cronje, Ivan van Zyl, Cameron Wright, Nic Groom, Cobus Reinach, Dewald Duvenhage, Jano Vermaak, Paul de Wet, Embrose Papier, Faf de Klerk. Name them, each and every scrumhalf in the country is a possible contenders, simply because there is no one single stand-out performer in the country. 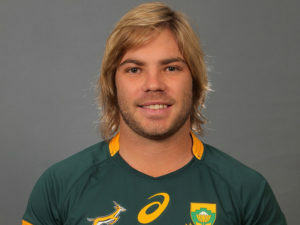 Personally, I would buy Faf de Klerk the car he wants, pay off his contract with Sale in England, set him up in a luxury apartment in the city of his choice, pay him a great salary. Just bring him back to South Africa! He has the most potential of the lot, a bit of that X-factor that is missing from every one of the others, and I would choose him ahead of the rest any day of the week. When Duane Vermeulen returned to the Springbok team in 2017, he immediately brought some steel to the pack. 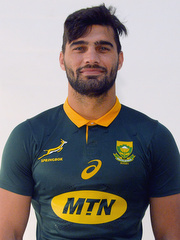 His on-field presence is enormous, an ominous aura that gives those around him confidence, while bringing some of that Springbok toughness back into the team too. His style of play is direct and over the ball, so different to Warren Whiteley, who avoids the tough stuff in favour of a wide game. 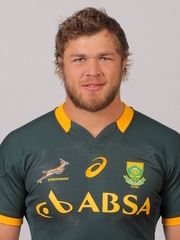 South Africa needs Vermeulen’s steel. Period. Warren Whiteley seems to be physically brittle. His body is breaking down too easily and too regularly. This is a major concern. His impact as a captain is important, but the team needs more than that. 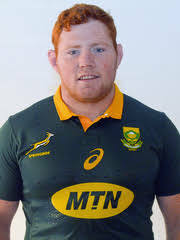 Dan du Preez is a strong contender although he does not seem to possess the same aura as Vermeulen, nor the mental acuity of either of the other two. Van Staden is still something of an unknown factor. Other contenders: Pieter-Steph du Toit, Franco Mostert, Marco van Staden. Jean-Luc has produced the goods in the last two months. A massive defence coupled to an immense work rate, adding some very good carrying to the mix. Just the kind of physicality South Africa needs. Du Toit and Mostert are re-treaded locks and would serve South Africa better in that role, perhaps as starting locks, perhaps as impact players. Both provide the team with options in the event of an injury to du Preez. Other contenders: Kwagga Smith, Philip van der Walt, Nizaam Carr, Roelof Smit. There are only two real contenders, Smith and Kolisi. Kolisi brings a lineout option that Smith does not. Smith brings an in-your-face harrying game that is not the way Kolisi plays. 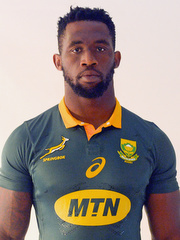 Kolisi is more of a wide running, supporting flanker that adds to the attacking punch of a team. Kolisi does, however, bring some leadership, a certain gravitas, that South Africa desperately needs. If Whiteley is out, and Vermeulen is ignored, Kolisi simply has to captain the side. Perhaps even if either of Whiteley or Vermeulen are in the team, Kolisi should still be captain? Kolisi’s one problem has been a lack of form so far this year. But he is still playing better than most, and is working harder than others in the game. Other contenders: Pieter-Steph du Toit, RG Snyman, Ruan Botha, Franco Mostert . South Africa is blessed with depth in the 2nd Row. Lood De Jager has been playing the kind of rugby he last produced back in 2015. He has been playing with an enjoyment we have not seen from him in years. 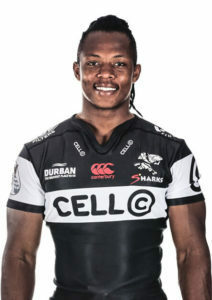 He is my starting lock in the 5 jersey, with P-S du Toit as the impact player off the bench, although these two could reverse roles if necessary. RG Snyman is the back-up, especially if du Toit starts while Etzebeth is injured. 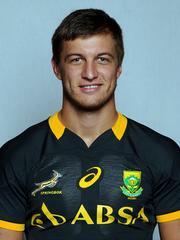 Other Contenders: RG Snyman, Ruan Botha, Franco Mostert . 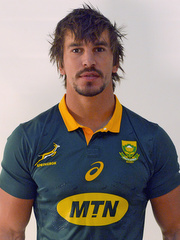 Eben Etzebeth is one of the two or three top locks in the world. His presence, his physicality, he tackling, and his massive ball carrying abilities, together his ball stealing in the lineouts place him at the top of the pyramid. The concern is his injury. He was supposed to be back on the field in April, but we have not seen him yet. 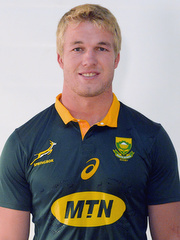 If he is not available, Pieter-Steph du Toit is a dead cert to start, with Snyman as the back-up. Other contenders: Frans Malherbe, Thomas du Toit, Coenie Oosthuizen, Vincent Koch. Wilco Louw is the incumbent, and the best we have got. He is a powerful scrummager with superb technique, he carries the ball with direct purpose, and is a superb cleaner in the loose, as well as a massive contributor in defence. Vincent Koch is another powerful scrummager, though he sometimes shows dicey technique. He is an admirable back-up to Louw. Frans Malherbe has been out with a long-term injury and has yet to play in 2018. He is a known force and would be a great back-up to Louw as well. 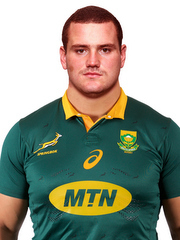 Thomas du Toit has potential, but has a long way to go to catch up with Louw and is wasted on the tighthead side anyway. Other Contenders: None. Back-up contenders: Bongi Mbonambi, Bismarck du Plessis. There is simply no one in Marx’s class. Period. 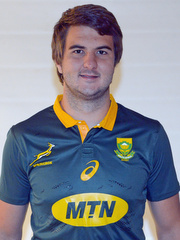 Other contenders: Thomas du Toit. The Beast and the Big Orange are both capable of starting the game or playing off the bench. 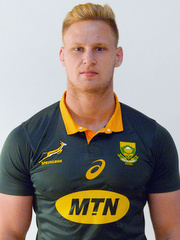 Steven Kitshoff is the younger, and perhaps the fitter, while the Beast is playing like the young man he once was. 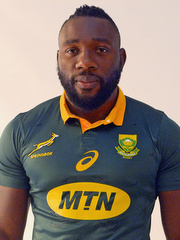 Depending on the opponent, I would start with Mtawarira and bring Kitshoff on to complete the demolition of the opposing tighthead in the last 30 minutes of a game. Thomas du Toit should revert to this side of the scrum. He will be the perfect foil to Kitshoff when the Beast retires. Next articleUPDATE: Six Weeks For A Bite!